As we enter the month of January, I’m sure that you’ve noticed beer options undergoing a proper plumpenin’. What I mean is that you may start seeing more big, full-bodied beers that are maxed out with flavor and fat with alcohol. Since these winter warmers only come around once a year, I would recommend that you should take full advantage of them—they will likely be some of the more interesting beers you’ll ever try. That being said, these big beers can make it difficult to be a proper and functioning member of society. A lot of us will have some difficulty balancing our drinking responsibly with wintertime cheer. One way to walk the line between those two worlds is to seek out flavorful options that don’t have that hammering blow. I think I’ve found just the thing. 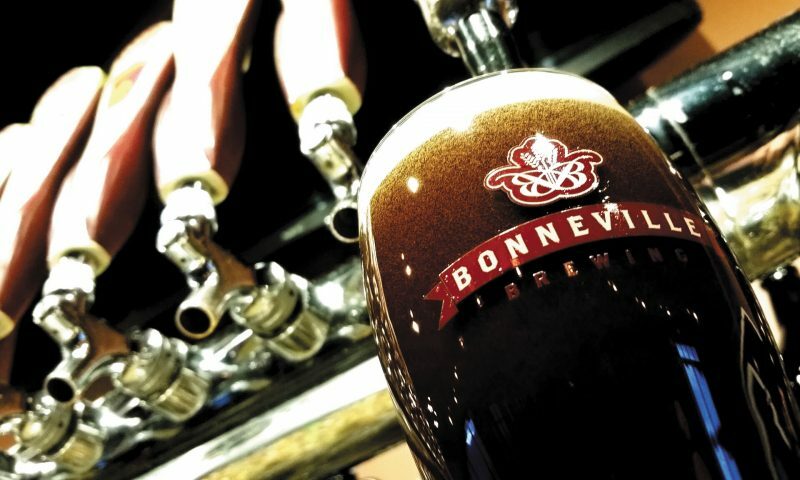 Description: Sir Malcom’s Stout pours from a nitro tap at Tooele’s Bonneville Brewing Company. As the bartender pours it, the cascading nitrogen bubbles fall hard toward the bottom of the glass. The curtain of bubbles slowly fades away, leaving behind a deep-brown canvas with maroon highlights. On top, two fingers of dense foam coalesce, creating a strong cap that remains until the bottom of the glass. This leaves thick patterns and rings of lacing around the glass, marking my every swig. As I give it a good whiff, semi-sweet chocolate and faint caramel malts push back. Beneath these, there’s a vague berry fruitiness, some husky grains and a bit of roast and smokiness round out the aroma. Upon first sip, there are nice, robust flavors with a pleasant amount of char, blended lightly enough with some malt sweetness to create a nice, milky texture. As I dig deeper, roasted coffee, brown toasty malts and subtle vanilla bean emerge, creating a nice balance. Bitterness from the roast and char begin to become evident, creating a ghostly smokiness. The end provides a bit of medicinal spices with a sweet vegetal quality that works with the caramel and chocolaty sweetness from the top of the sip. The aftertaste leaves a bit of char, faint metallic notes and some slightly acidic black-coffee flavors. The body is medium/light, and the nitrogen feel is medium. The beer leaves a soft, easy coating around the mouth, keeping it wet and satiated. This leads to an eventual mild astringency that became a bit dusty and warm with time. The ABV is sessionable, and the beer is quite easy drinking. Overview: I think that most people will find that there’s an ease of drinkability here that’s enhanced by the beautifully creamy feel. The dryness of the style is definitely complemented by the nitro, but the great marriage of char, roastiness and caramel malts creates a depth of enjoyability that is satisfying on the tongue as well as in the belly. 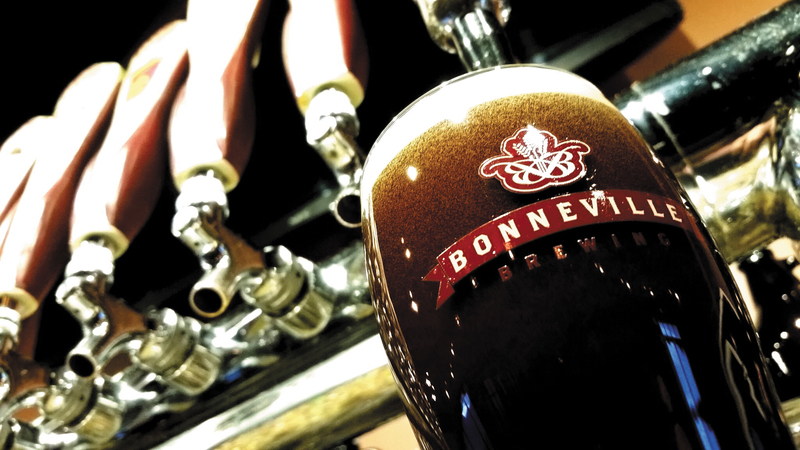 This eases you back in again and again—which contributes to drinkability and sessionability. This stout is simple, flavorful and just damn satisfying, a perfect substitute for those boozy beasts.